Camping in the woods on a mountain is a liberating experience. 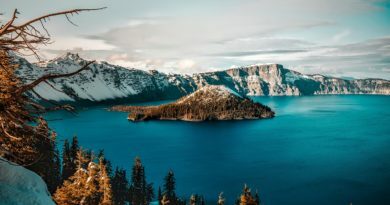 Mount Rainier National Park offers several front country campgrounds that are in the woods, by a river, and on a mountain. The campgrounds allow park visitors to just the park entrance line. It makes it easy to the trailheads and get that coveted parking space. Camping in Mount Rainier National Park is the best way to hang out in the park after dark. None of the campgrounds are open year around. Opening and Closing Dates can vary from year to year. These dates are weather dependent. 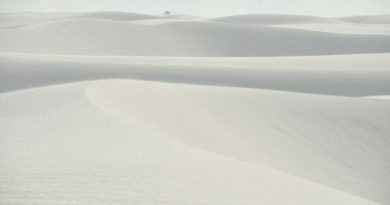 Check the NPS website for the latest on campground opening and closing dates. Cougar Rock and Ohanapecosh are reservable. All others are campsites are first-come-first-serve. During the height of summer, campgrounds can fill as early afternoon. Get to your desired campground as early as possible and have a back plan. Each tent campsite can have up to 6 people. There is space for two tents and one vehicle at the campsite. The campsite has a picnic table. Many of the campsites have a fire pit. Please double check the fire regulations and ensure your fire is completely out before going to bed. Use the Bear Box or store all food items in your car. Please do NOT leave any food, utensils out, or any scented items. This includes toothpaste, toothbrush, chapstick. Pretty much put everything but what you are going to sleep into the bear box. Mount Rainier is bear country. Remember a fed bear is a dead bear. 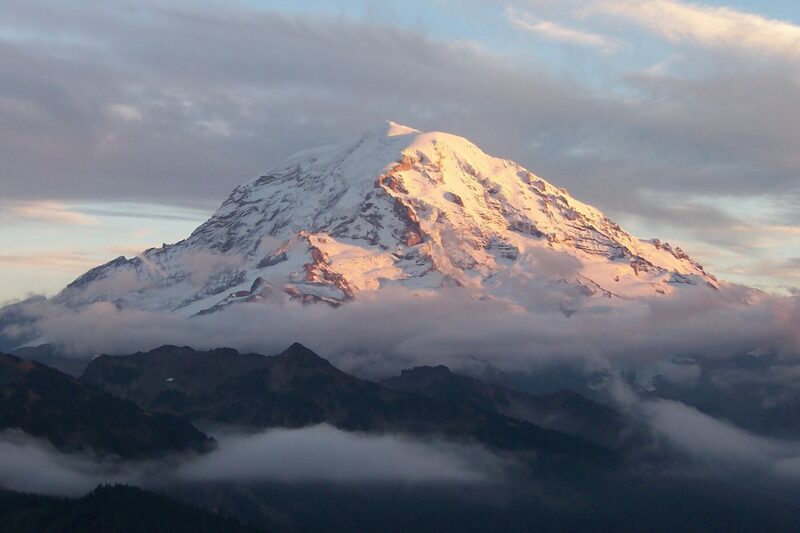 If you are planning to visit Mount Rainier, the best option is to fly into Seattle, Washington and rent a car. The park map will help you pick the best campground location for you. ** All Campground prices are valid as of 08 July 2018. 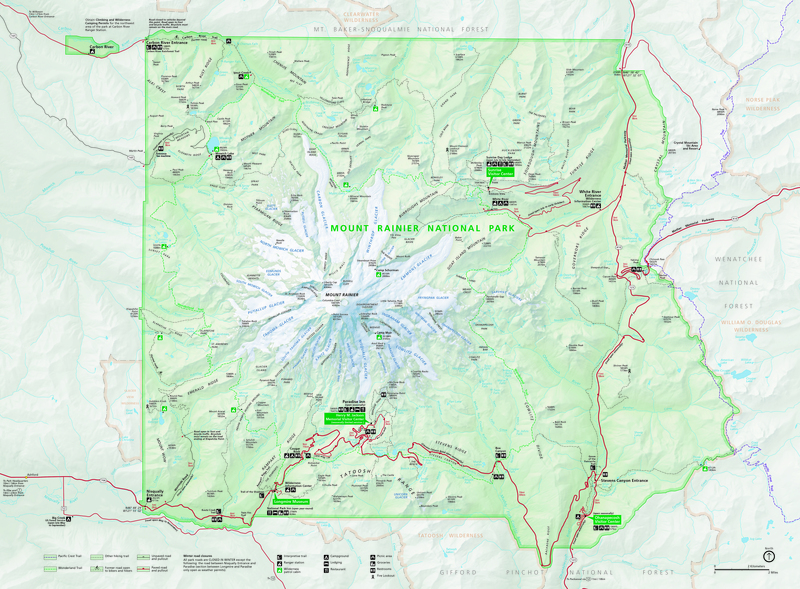 Cougar Rock Campground is the southeast campground in Mount Rainier. It is located on the banks of the Nisqually River. This large campground is located just north of Longmire. The campsites are spaced out in a forest and divided between 6 loops. The campground is a large and busy place. Please drive carefully. Typical Fill Time Walk-in space is rare, make reservations if possible. 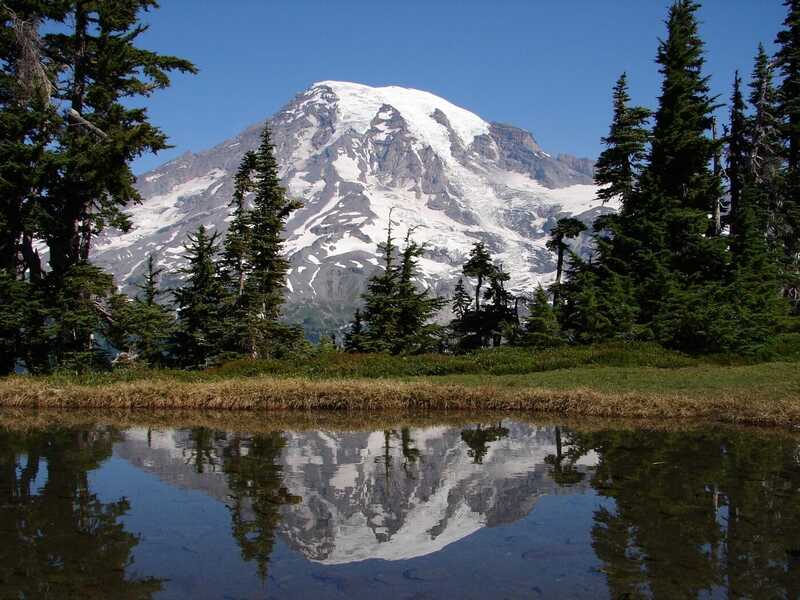 Ohanapecosh Campground is the southeast campground in Mount Rainier. It is located on both banks of the Ohanapecosh River. This large campground is located near the Steven’s Canyon Entrance and Packwood. The campsites are spaced out with trees for privacy and divided between 8 loops. 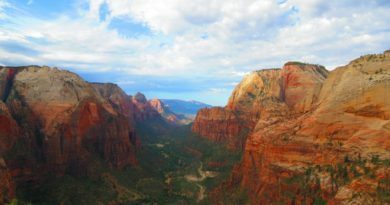 This campground is a largest in the park. White River Campground is the northeast campground in Mount Rainier. It is located on near White River. The White River is the perfect base when exploring the Sunrise area. The campsites are spaced out in a forest and divided between 4 loops. 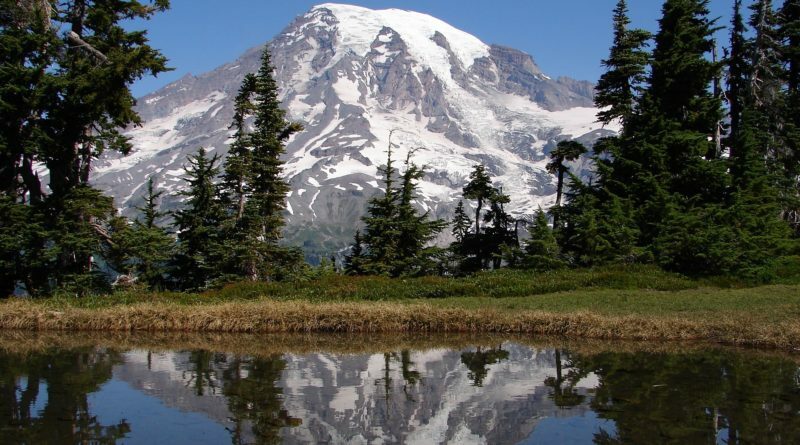 Big Creek Campground is located near the south west entrance of Mount Rainer National Park. The campground is in the national forest but is a great back up if Cougar Creek Campground is full. 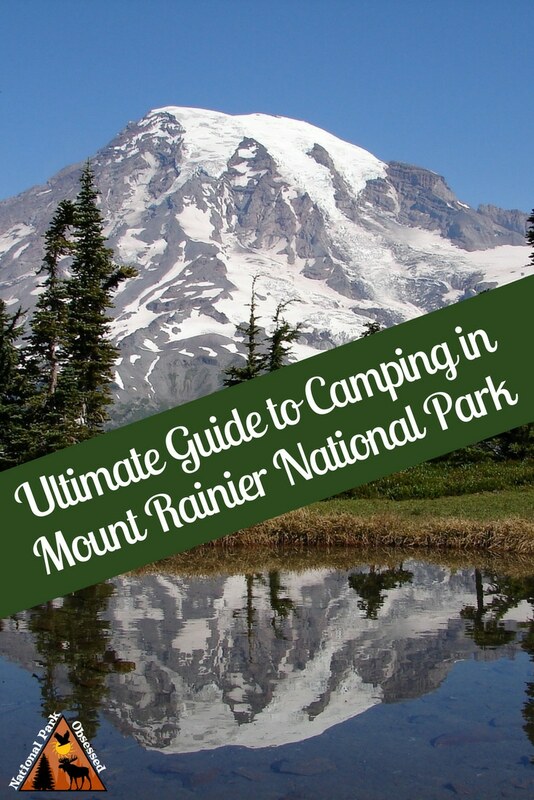 Do you have any other questions about front country camping in Mount Rainer National Park?